Yomari Punhi is an newari festival marking the end of rice harvest. It is observed annually during the full moon of December. 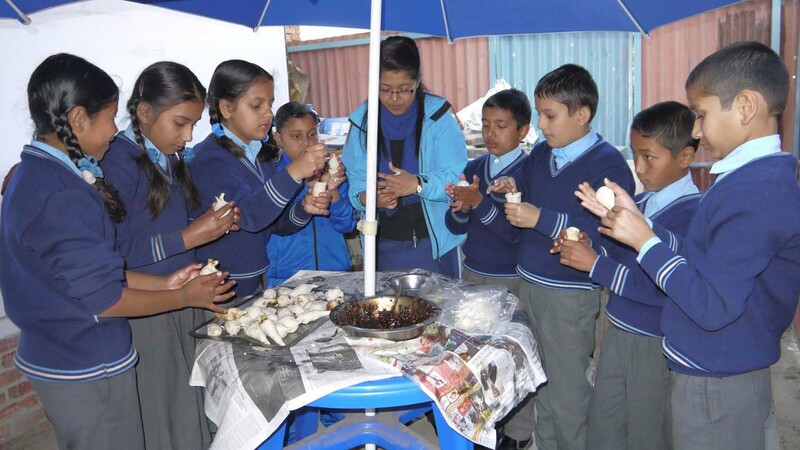 Every year the students of grade V from Everest English School, celebrate Yomari Punhi at school. It is celebrated to give cultural and practical education to learners on the importance of the festival in Newar community. They will know different ingredients used inside Yomari and their positive effects on our health.